If you are anything like me, then you truly enjoy the transitional period that comes between the sweltering summer months and fall. The temperature cools at night, yet the days are still filled with sunshine and warmth. For a style maven, this time also provides a unique opportunity to wear pieces from both seasons. 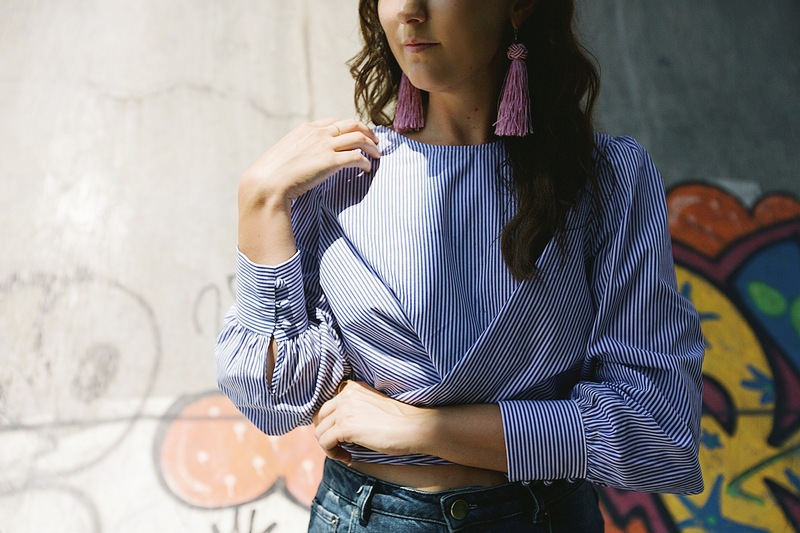 The statement earrings I purchased for spring will still transition nicely into fall, so I used them to add a pop of serious color to my micro-striped blouse, which happens to also transition well from day to night with its open back and long sleeve construction. 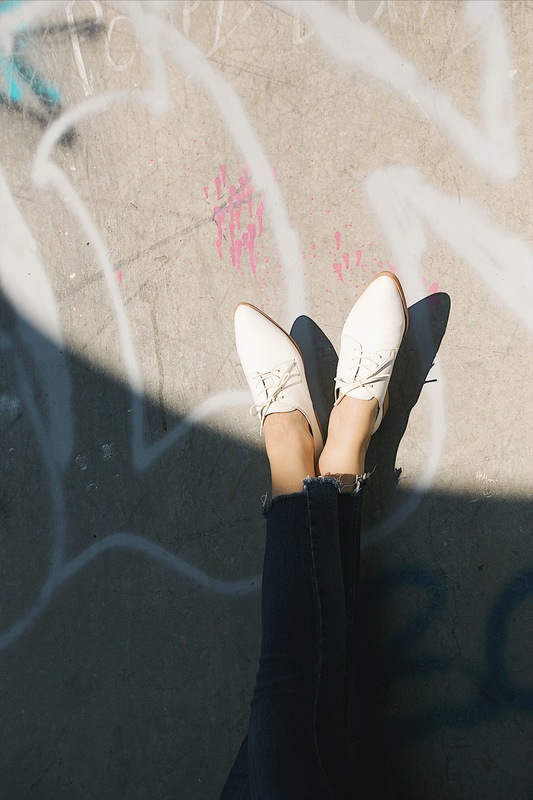 I paired my cream oxfords with the look to ground it a bit more than a strappy pair of sandals or flats would, and my cropped denim is a truly functional staple year-round. Why not pair one of this season’s crop tops with a blazer and high waisted bottoms? You can also layer a sweater over your favorite dress and pair of boots. Or, layer the embroidered top that you donned on date night this spring under your favorite leather jacket. When you are pulling inspiration from summer and fall, the ensemble choices are simply endless. love love love transitioning!!! that shirt is just out of this world!